Vaccines prevent an estimated 2 to 3 million deaths every year. They are vital in ensuring that preventable illnesses do not threaten the health and livelihoods of people across the globe. However, one in seven children still do not have access to these lifesaving vaccines, leading to 1.5 million preventable deaths each year. These numbers are unacceptable. In 2010, the global health community came together to build a strategy for reaching all people with the full benefits of immunization, regardless of where they were born or what circumstances they are in. This was the beginning of the Decade of Vaccines, dedicated to reaching every child with lifesaving immunizations. As part of this initiative, the Global Vaccine Action Plan (GVAP) was developed with the goal of preventing millions of deaths by 2020. 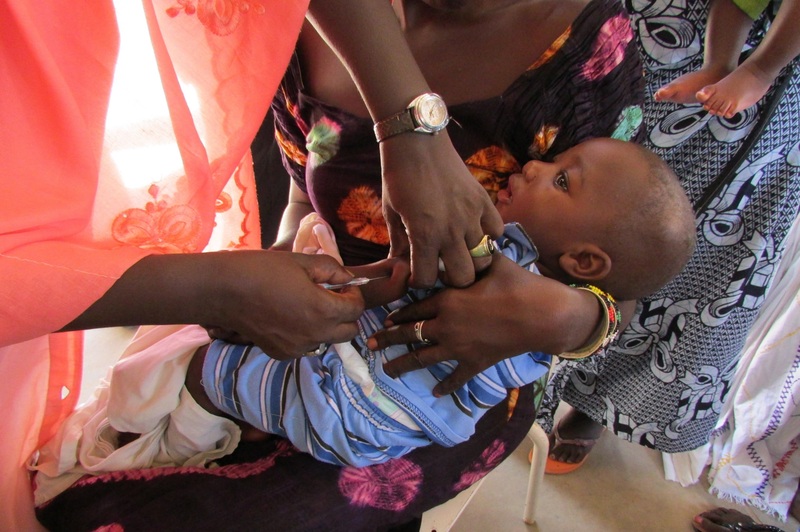 By strengthening countries’ national vaccine programmes and improving support and coordination among stakeholders at all levels, GVAP aims to achieve the five goals of the Decade of Vaccines: (1) to achieve a world free of polio, (2) to meet vaccination coverage targets in every community, (3) to exceed the Millennium Development Goal 4 target for reducing child mortality, (4) to meet global and regional elimination targets, and (5) to develop and introduce improved vaccines and technologies. However, progress toward these goals has been much too slow. Although new vaccines have been introduced at an encouraging rate and certain countries have seen great improvements in vaccine coverage, a report released at the mid-point of the Decade of Vaccines showed that the global average immunization coverage only increased by 1% in the first half of the Decade of Vaccines. Even worse, 25 countries reported a net decrease in vaccine coverage since 2010, often as the result of weak health systems or persistent conflict and instability. We must not allow progress to lag in this way. Canada has long been committed to child health as one of its top development priorities. By signing onto the Global Vaccine Action Plan in 2012, and making strong contributions to initiatives such as the Global Polio Eradication Initiative (GPEI), Canada has been a leader in global efforts to reduce the burden of infectious diseases through vaccinations. Yet the lack of progress on the Decade of Vaccines goals shows there is much to be done. The Government of Canada must ensure that new policy focus areas do not divert funding from core investments in child health so that no one is left behind in the implementation of lifesaving vaccines. Although the global community is not on track to achieve all the goals of the Decade of Vaccines, a world free of polio is within our grasp. We must urge the Government of Canada to commit the funding needed to end polio for good. As this infectious and life-altering disease persists in the most difficult to reach areas of the world, the GPEI needs additional funding to ensure it has enough resources to achieve global polio eradication. In September 2015, it was assessed that an additional CAD $2 billion would be required to eradicate polio by 2020. The Rotary International Convention in June is an opportunity for the global community to renew its commitment to eradicating polio. Canada should provide a pledge of CAD $150 million to ensure we finish this job once and for all. This commitment would play a major role in helping to accelerate eradication by stepping up essential disease surveillance in 70 countries, immunizing 450 million children every year in 60 countries, implementing innovations to reach every last child in some of the most challenging places of the world, and continuing to deploy up to 150 000 healthcare workers for polio and other health priorities. This support would make it possible to eradicate a disease for the second time in history, which would be a monumental achievement, marking a great leap forward in progress on the Decade of Vaccines, and would leave a legacy of robust health systems able to reach marginalized populations. Polio eradication will generate an estimated USD $25 billion in savings over the next 20 years that can be reinvested to help end all preventable child deaths. As the world marks World Immunization Week this month, we must remind the government that Canada should not lag on its commitment to delivering lifesaving vaccines to children everywhere. Equitable access to immunization is a goal that cannot be compromised. As a global leader, it is Canada’s responsibility to make sure no child is left behind. With a renewed financial commitment to eradicating polio and sustained support for global immunization initiatives, Canada can ensure that crucial progress is not lost on the Decade of Vaccines. There is an official E-Petition available on the Parliamentary Website that Canadians can sign to support a CAD $150 million pledge towards ending polio. Once you’ve signed your name, share the petition on social media with the hashtag #EndPolio. Let’s reach over 2,500 signatures before the petition closes on May 30th! Before the pledging conference in June, let’s take at least 100 actions to encourage MPs to take action to end polio for good. Write, email, call, or set up a meeting with your MP, and have them upload a photo of themselves with a statement on why ending polio is important to them on the One Last Push website. We would be happy to follow up with any MP that expresses interest in this, so please let us know when you’ve reached out by filling out this form! If you need assistance in contacting your MP, get in touch with our Parliamentary Officer at: [email protected]. Tell Canadians why we must do our part to eradicate polio, and why this is such a critical moment in history to take action on this issue. We’re aiming to have 60 letters to the editor (LTEs) published during our polio campaign. RESULTS Canada will compile any LTEs published in April and submit them to Minister Bibeau, so it’s important to take action on this as soon as possible and get yours included! Canada must maintain investments, support innovation & strong health systems to reach #GVAP targets.